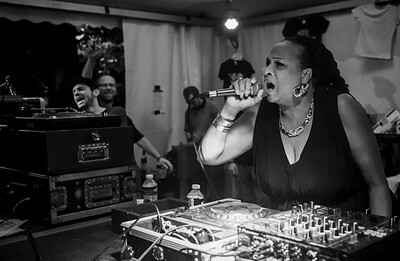 All hail the queen of Dancehall..
Arguably one of the most influential vocalists of a generation Sister Nancy and Legal Shot Sound System come to Bristol to get summer started. Pitchfork named her single ‘Bam Bam’ as The Best Dancehall Song of All Time, which comes as no surprise as it has been sampled, referenced and reworked by almost everyone from Kanye West to Lauryn Hill to Wiz Khalifa. Sister Nancy is the sound of summer and we are ready to dance all night long – what else is there to say.